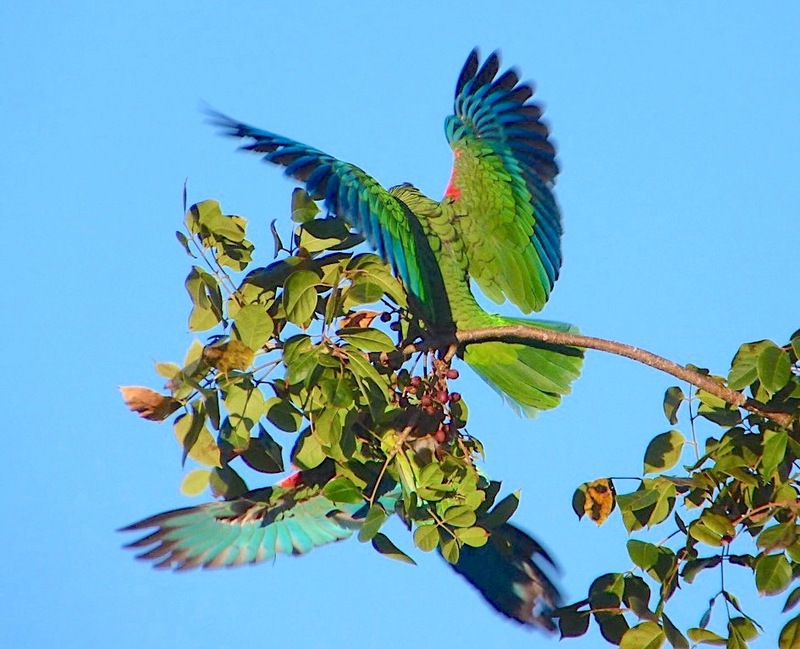 In March 2014 “The Delphi Club Guide to the Birds of Abaco” was published. It contains a checklist of every species recorded for Abaco that was accurate on the day of publication. So it was with a mix of excitement (new species!) tinged slight disappointment (the book is already out of date by June!) 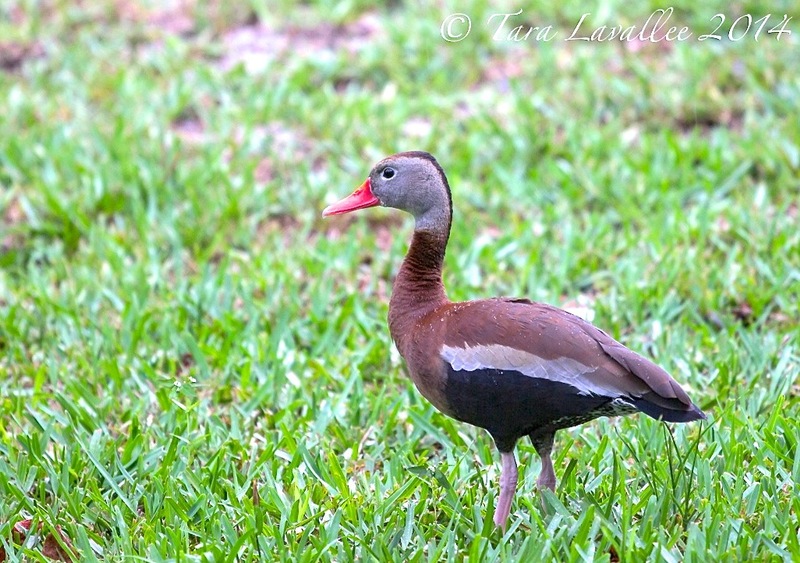 that I heard reports of Black-bellied Whistling Ducks Dendrocygna autumnalis being seen on Abaco. Followed by photographs to prove it. The first report came from Woody Bracey in his account of a day in the field on June 9th in which 40 bird species were seen. 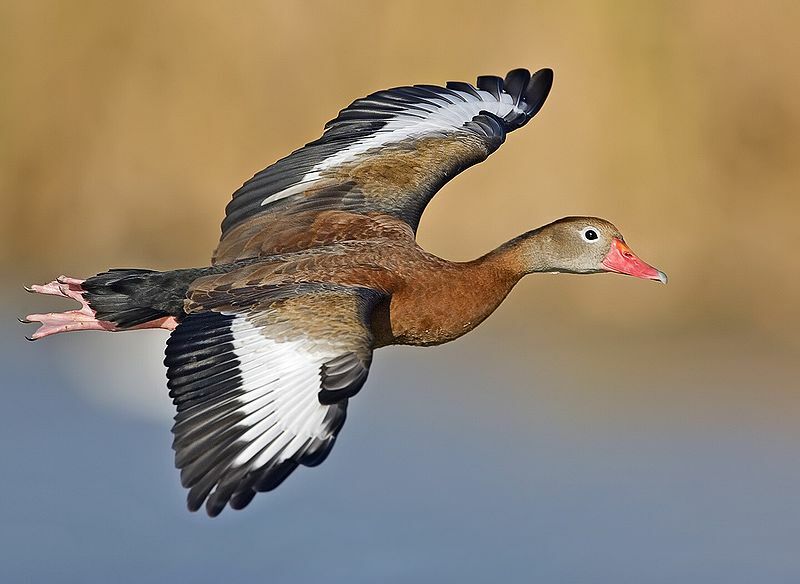 He concluded the report: “Most remarkable of these sighting were the 5 Black-bellied Whistling Ducks. This species has been reported before on Andros and Grand Bahama but never on Abaco. 5 were seen clearly in flight with their bright white central upper wing patches, dark underbelly, red legs and bill and long neck. A Yellow-crowned Night Heron spooked 8 Parrots feeding in a Gumbo Limbo Tree when this small flock of whistling ducks flew by affording a good look coming, overhead and going. Unfortunately I did not get a photo even with camera in hand. They have bred in Cuba but not in the Bahamas”. So, a clear sighting but no photographic evidence. Until the following morning, yesterday June 10 around breakfast time, when at the Delphi Club Lucy Mantle happened to notice some strange ducks right in front of the Club. She grabbed a camera (possibly her phone?) and took a couple of quick shots. 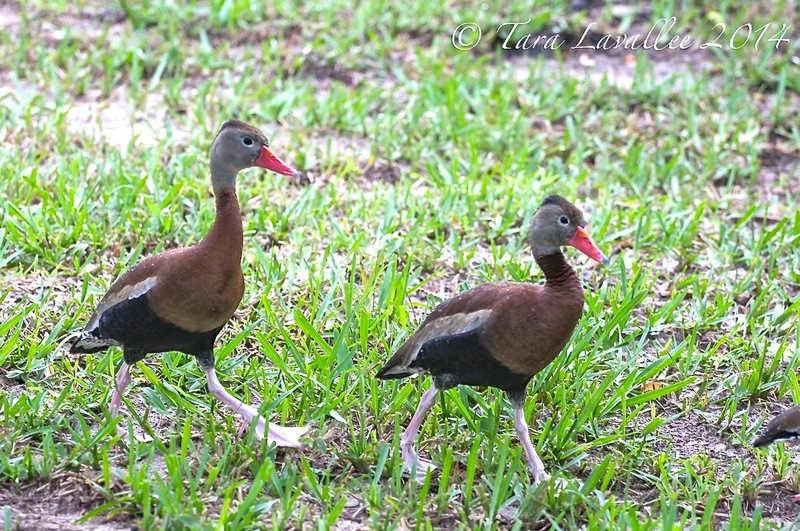 Peter Mantle checked Hallett, the go-to field guide, and saw at once that these were not West Indian Whistling Ducks (a species found on Abaco). So he put the word about, adding Lucy’s photos. 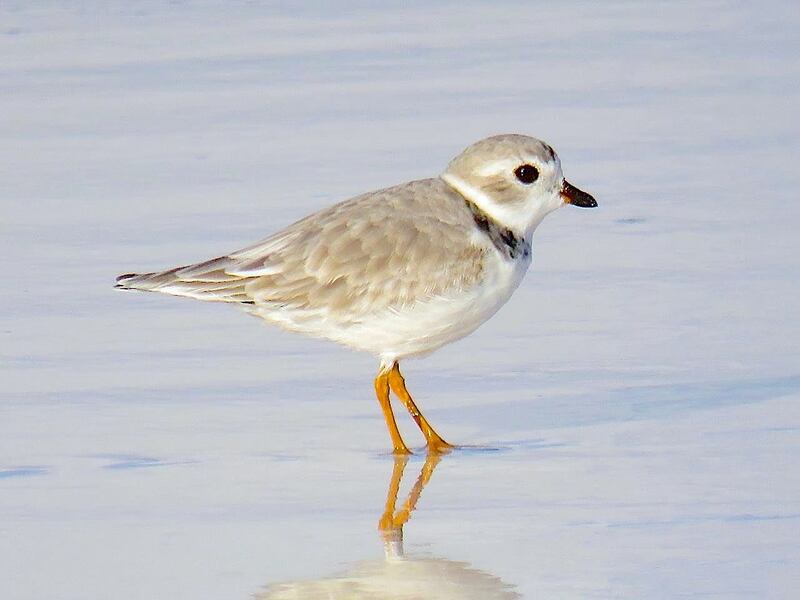 Hers are almost certainly the first ever images of this species on Abaco. 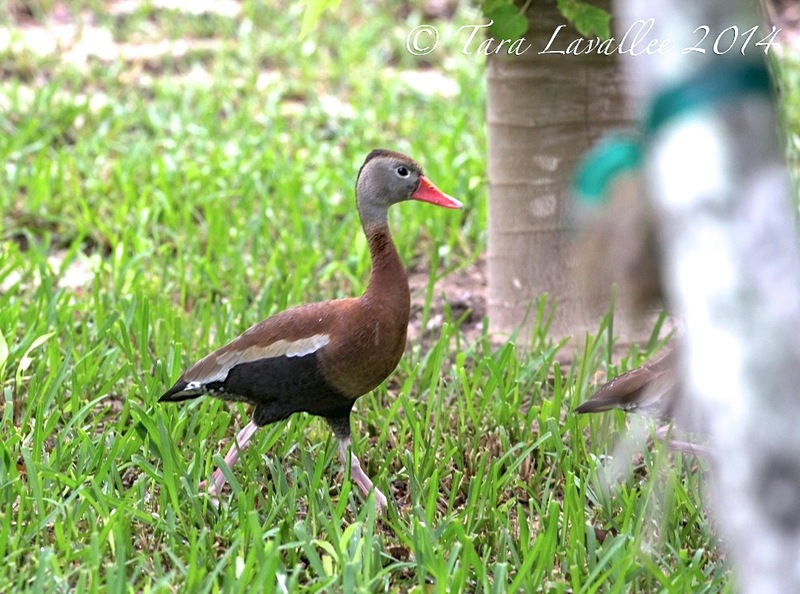 Black-bellied Whistling Ducks, Delphi Club (Lucy Mantle) – first second species photo on Abaco? Tony White, compiler of the checklist, responded to Peter: “Congratulations! you are the first to document a new species on Abaco since the book and checklist came out. 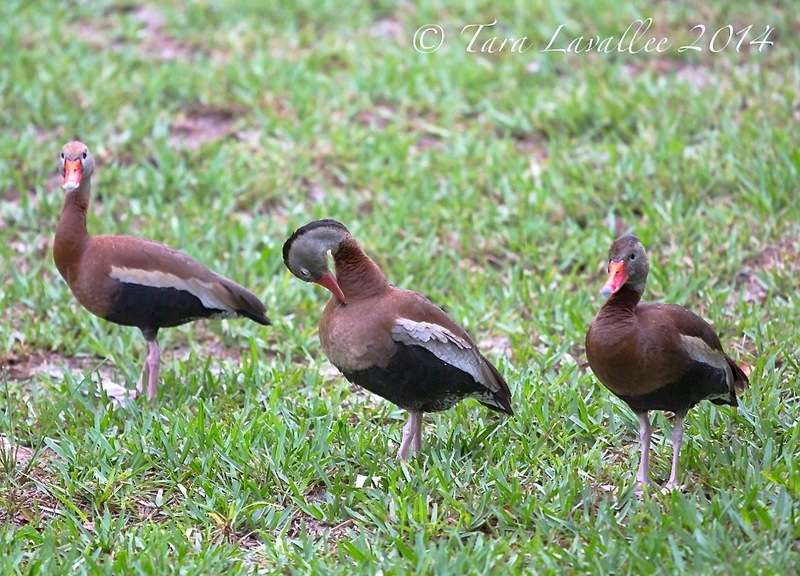 These are Black-bellied Whistling-Ducks, casual visitors to the Bahamas. 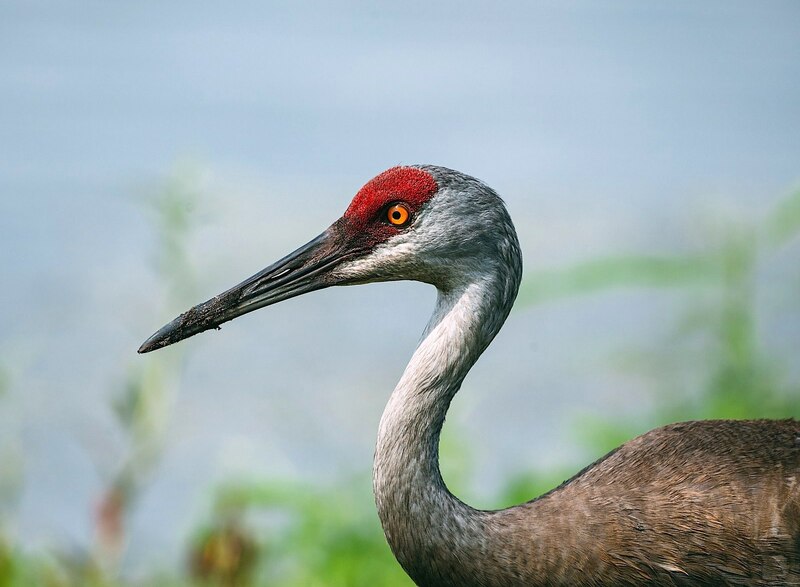 They are increasing rapidly in Florida and I think we can expect them to be breeding somewhere in the Bahamas in the next few years.There are two subspecies and they both have been seen in the Bahamas. I’ll let Woody try to figure out which these are. Thanks for being so alert and getting these photos”. The birds must have moved gradually north during the day, and further sightings were reported online. Tara Lavallee took some photos of them in her yard a few miles north of Delphi and posted them on FB asking “Six of these beauties visiting my yard. 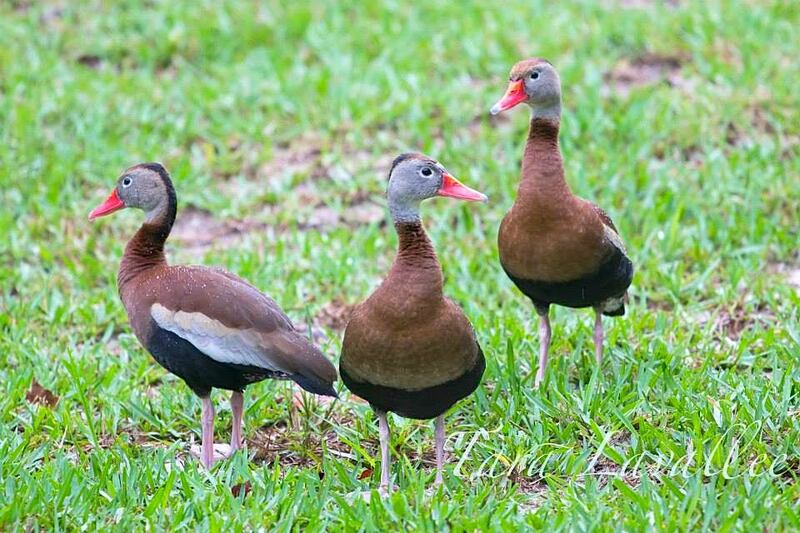 Anyone know what they are?” 12-year old birder Chris Johnson was very quick off the mark with the correct ID as Black-bellied Whistling Ducks. Hector Morales had seen them flying over his house the previous day. I’ve seen no further reports, but I am really pleased to be able to feature Tara’s photos, which she kindly emailed earlier today. 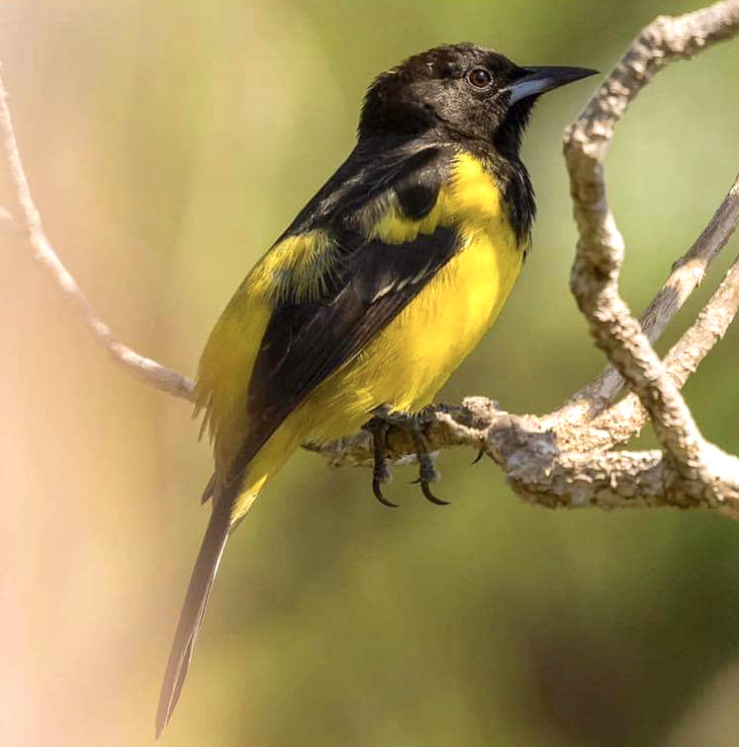 Her bird photography credentials are high – her wonderful photo of a Bahama Woodstar feeding from a flower takes up the whole of p43 of “The Birds of Abaco”. This is what they sound like. 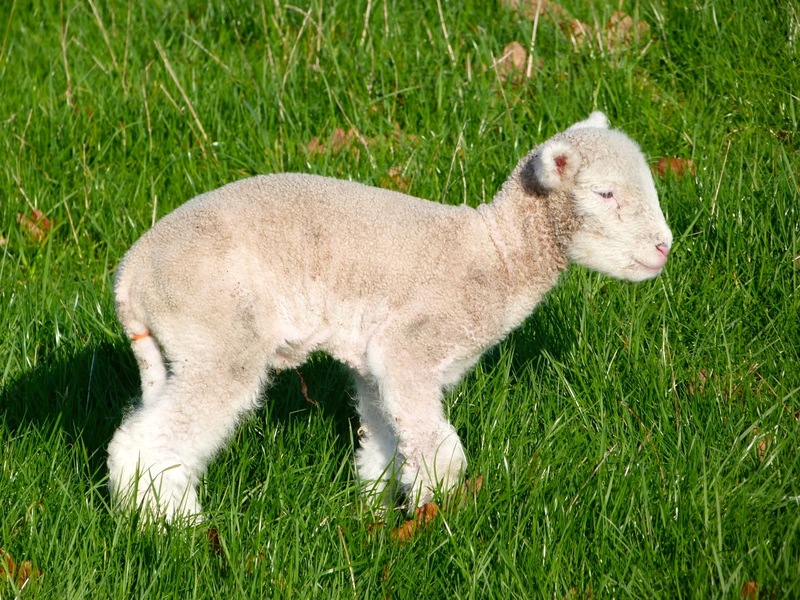 If you hear this call – grab a camera! 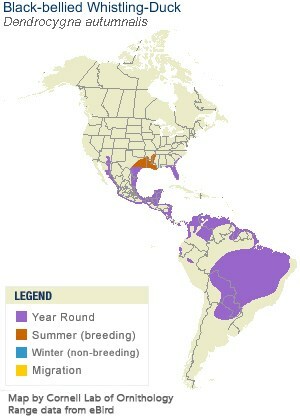 The present range of this species is shown in the Cornell Lab graphic below.It seems that the range is starting to expand, and that these ones are most likely to be visitors from Florida. 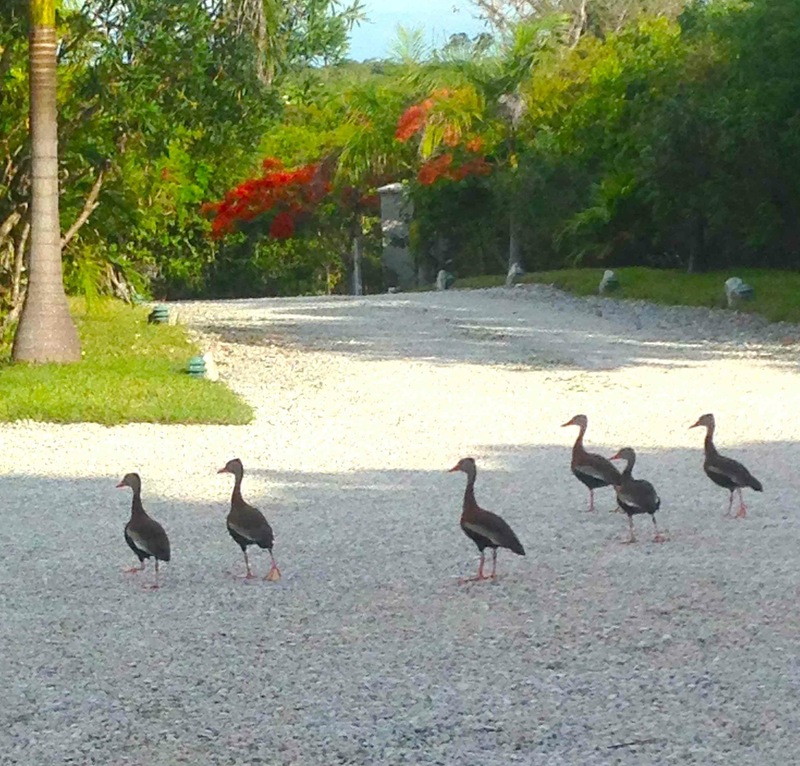 It remains to be seen whether these ducks will remain vagrant curiosities, or settle down and begin to breed on Abaco. There are plenty of them, and they are IUCN listed as ‘Least Concern’. It’s a gregarious species, so perhaps that increases the chances of having a breeding population on Abaco. I’ll end with two excellent photos of the BBWD, taken by people who plainly had plenty of time to sort out and set up their equipment at their own pace, and not as the result of a totally unexpected and random arrival in the front yard! Photo credits as shown, with special thanks to Lucy Mantle for her exclusive ‘first’; to Tara for use permission and sending her originals; and an honourable mention to Chris Thomas for his powers of ID! 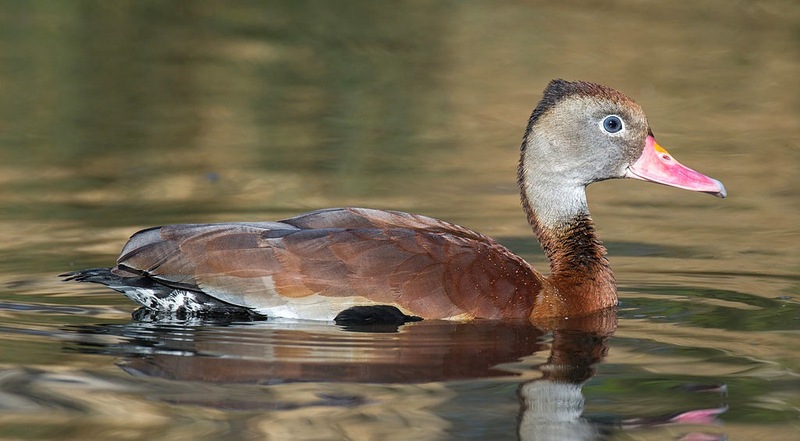 This entry was posted in Abaco, Abaco Birds, Arts and Crafts Abaco, Bahamas (Abaco), Birding Abaco, Delphi Club Abaco and tagged Abaco Bird Species, Abaco Birding, Abaco Birds, Abaco Wildlife, Bahamas Birds, Black-bellied Whistling Duck, Black-bellied Whistling Duck Abaco, Black-bellied Whistling Duck Bahamas, Bruce Hallett, Delphi Club Abaco, Delphi Club Bahamas, Dendrocygna autumnalis, New Bird Species Abaco, Peter Mantle Delphi, Tony White Bahamas Birds, Woody Bracey Abaco Birds. Bookmark the permalink.